Each blanket and clothing is made by our little familly company in Poland. We choose to produce under control of GLOBAL ORGANIC TEXTILE STANDARD and we proudly show our annual certificate CU832395 that guarantees all our organic cotton products to be free of toxic chemical additives. The name of the child, the date of birth, the hour of birth, the heigth and weight at birth date are the most important informations for the baby's family. A 100% organic cotton, natural and soft in touch blanket is the most important thing for a baby during sleep. My Blanket is a fusion of the unique data of the child with the naturalness of cotton. We produce it on individual request, and reccomend it for new born babies, as they come to the world. 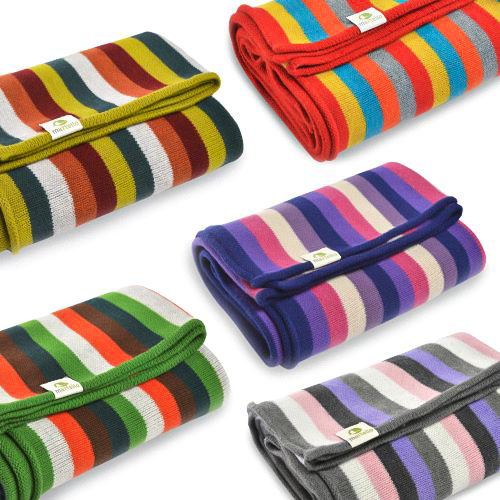 The blanket is 75 cm wide and 100 cm long.